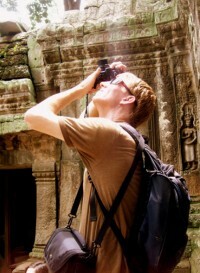 My name is Nathan Wells, I serve as a missionary to Cambodia in South East Asia starting in 2003. I returned from the field to attend seminary in 2006 in order to be better equipped to serve the Cambodian people. After graduating in May 2009 we returned to Cambodia in January 2010. Our desire is to work with the local churches there to train up men in the Word as well as work towards translating Biblical resources for pastors and church leaders to use in order to grow in the walk with the Lord Jesus Christ. Photography is one of my hobbies – I really enjoy capturing God’s world on film.